Fernando Alonso will return to Formula One action at the Malaysian Grand Prix after being declared to fit to race at the Sepang circuit on Thursday. Alonso has undergone and passed a series of medical tests since his accident during pre-season testing, which left him concussed and in hospital for three days. He has been keen to return to the cockpit ever since but was not allowed to race in Australia due to concerns about Secondary Impact Syndrome, which can be fatal if a person suffers two concussions in a short space of time. Last weekend Alonso passed medical tests at Cambridge University and on Thursday was declared fit by both the FIA medical delegate, Jean-Charles Piette, and the chief medical officer of the circuit. 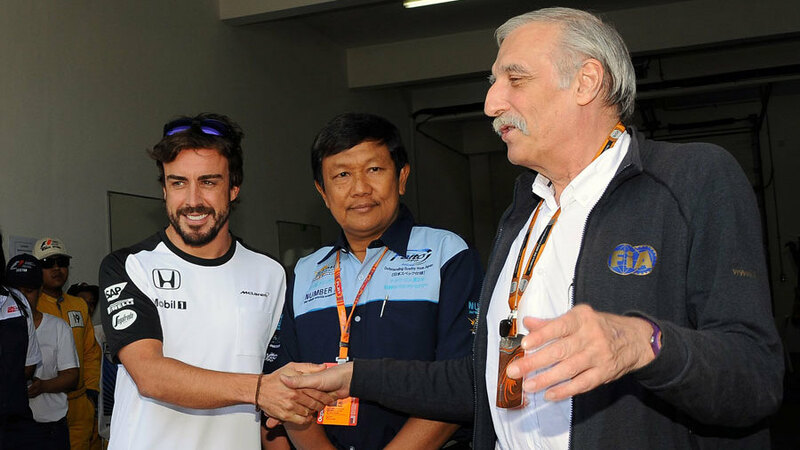 "In accordance with normal procedures, McLaren-Honda driver Fernando Alonso was this morning examined by the FIA medical delegate and chief medical officer at the Sepang Circuit medical centre," an FIA statement read. "During the examination the driver passed all mandatory fitness tests and has thus been declared fit to race in this weekend's Malaysian Grand Prix." Alonso's former team Ferrari tweeted in the aftermath of the news, making reference to Maurizio Arrivabene's recent comments that Kimi Raikkonen is like "a hammer".